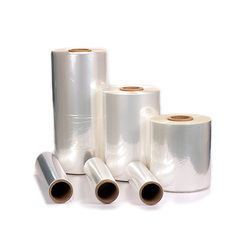 We are a leading Manufacturer of ldpe wrapping film from New Delhi, India. We feel proud to introduce ourselves as the well-known manufacturers and suppliers of LDPE Wrapping Film. The offered agricultural films are specially designed for protecting the crops from harsh weather conditions. Our supplied agricultural films are liked for facilitating seed germination and plant growth. The offered agricultural films are available at very affordable rates.